Wellington stride sensation, The Jelly Rolls, performing Ain’t Misbehavin' - The music of Fats Waller. Rolling around the hoods and hangouts of the capital metropolis since 2011, The Jelly Rolls have stewed up a flavoursome brew. 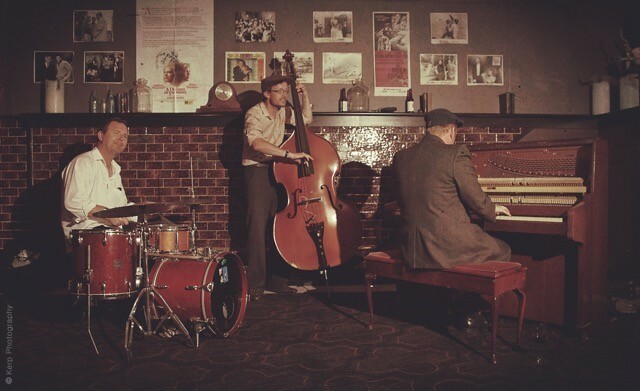 After touring the country with the music of Cole Porter and George Gershwin, storming the Wellington Jazz festival with a tribute to Oscar Peterson's classic album Night Train, The Jelly Rolls now take on the greatest of the greats for the Auckland Jazz Festival, the one and only Fats Waller. This is high energy harlem stride, 1930s swing and boogie at it’s best, with a few surprises along the way.